Doesn’t it feel nice to garner hundreds or thousands of Facebook likes? Doesn’t it just give you a sense of gratification? A payoff for all your hard work? It should—because that’s all you’ll get if you let Facebook engagement be an end in itself. Likes, comments, and shares are nice, but you shouldn’t settle for “nice” in business. You should aim for an actual return on investment (ROI). Your social media campaign should contribute to your team’s long-term goals in the long run. Otherwise, your marketing efforts will all be for nothing. Facebook can take you one step closer to getting a better ROI. The blue brand is the land of opportunities, after all. It’s where you can create a sizeable social following and generate leads. 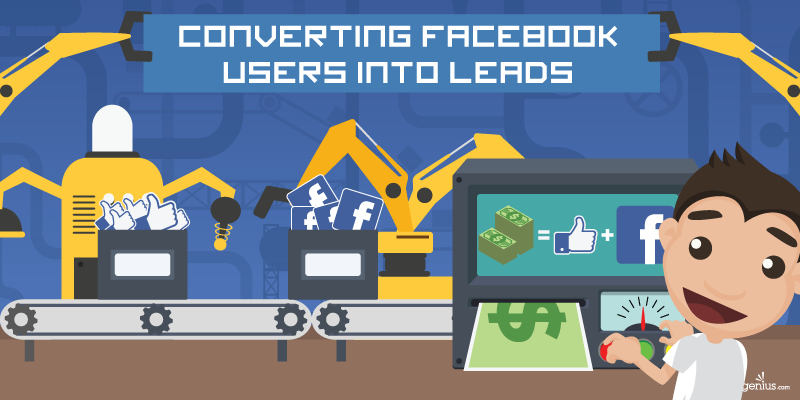 With the right strategies, you can turn casual Facebook followers into actual paying customers. But you must remember that the size of your audience doesn’t determine your marketing success. It’s not about how many followers you have; it’s how you market to them. Facebook provides numerous opportunities for brands to connect with fans. As a community hub that lends your business a face, Facebook is the ideal place to create a social community built on trust. This social media platform is the first step in the sales ladder. Once you succeed in increasing engagement, you can then proceed to enticing your audience to take your call to action. 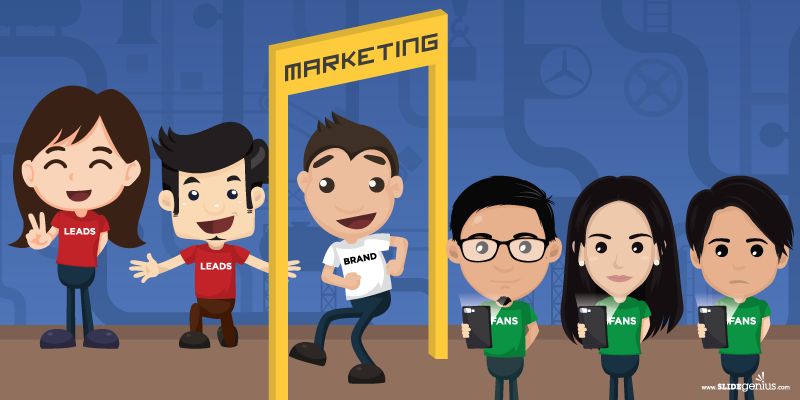 The true business essence of Facebook marketing has boggled marketers for years. When it comes to generating meaningful conversations with followers, Facebook never fails to deliver. But beyond that, many don’t see how it can be a tool for business. It doesn’t help either that this social media platform is tough to break down in terms of monetary value. There’s a certain appeal that surrounds exclusivity. People feel special when they’re offered something that isn’t available to everyone. Leverage this power by offering downloadable content that’s only available to your followers. This can be an area of experimentation at first. Offer different kinds of content, and see which ones your audience react to best. Also, don’t forget to post links in your page that lead to your website. By sharing content that’s hosted on your sales pages, you can expand your reach and maximize lead generation. Give them a peek into your business’s core. Show your audience some behind-the-scene action that will pull them closer to your brand. This will aid you in creating a strong bond with them. Share a story that revolves around your products or services. The story doesn’t have to be about your product offers. Create a compelling story that appeals to your audience’s emotions. Show tangible ways to use your products or services. 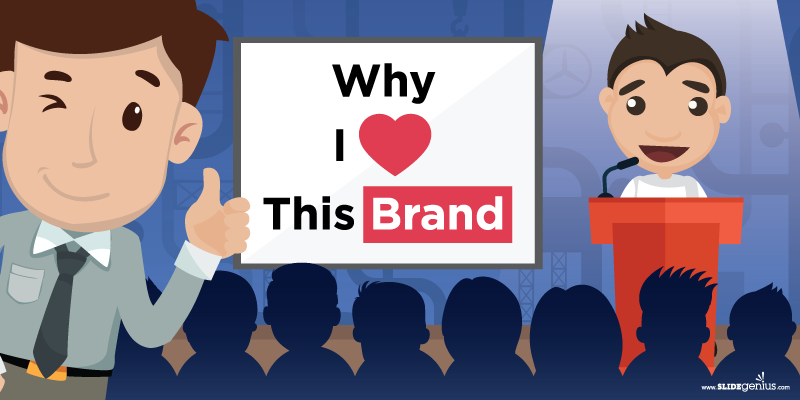 How can your brand make a difference in your customers’ lives? Provide examples that illustrate how your products can alleviate their discomforts. Make a documentary that captures the essence of your business. You can interview employees to make it more personal. After all, the people behind the product are just as important as the products themselves. Use visuals to present your story in a more interesting light. There are myriads of innovative ways to showcase your brand story, and photos and videos are some of them. A Forrester research report shows that “70% of U.S. online adults trust brand or product recommendations from friends and family.” Consumers in the digital world join social discussions about brands. They are more likely to appreciate honest reviews than self-promotions. You can leverage this fact by finding supporters who can vouch for your business’s integrity. Customer testimonials will certainly give you an edge over competitors. Email marketing is a whole field that you can integrate into Facebook marketing. 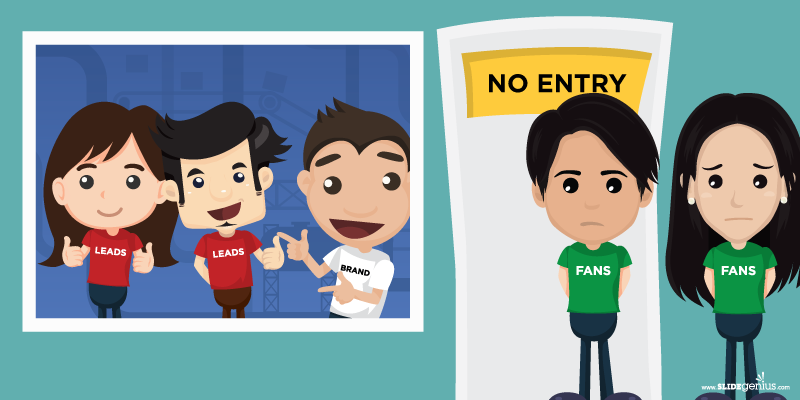 It’s the next level in the sales funnel, where lead generation is more likely to happen. After garnering a sizeable following on social media, you can direct your audience to the email platform, where you can introduce them to new sales opportunities. While it’s true that you can post promotions on Facebook, email is still arguably the better platform for creating engaging sales content. Through it, you can encourage your followers to take the next step and do business with you. You can give your followers an incentive to do business with you by offering them special deals and promotions. Create custom page tabs that highlight your newest offers. You can even feature upcoming events and products that your fans can look forward to. Invite people in by offering exclusive downloads, coupons, and discounts. In spite of what other marketers say, it’s possible—and feasible—to turn Facebook followers into paying customers. You just need to figure out new and innovative ways to do it. Offering special offers to the fans of the business page is very effective idea. Great list, thanks for sharing.